VINTAGE COSTUME ESTATE ANTIQUE JEWELRY NECKLACES! 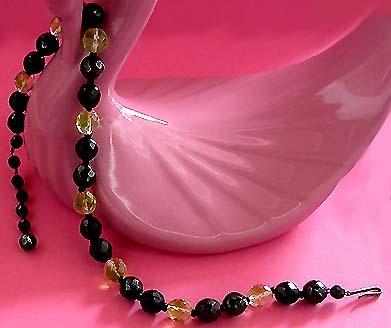 West Germany Jet Black And Givre Glass Beaded Vintage Estate Antique Necklace For Weddings, Proms, Pageants And Parties! Item #N168189 - West Germany Jet Black And Givre Glass Beaded Vintage Estate Antique Necklace. Size: Total Length: 15 1/2" (13" + 2 1/2" extender). A hefty piece of beautiful Vintage Estate Antique Necklace. 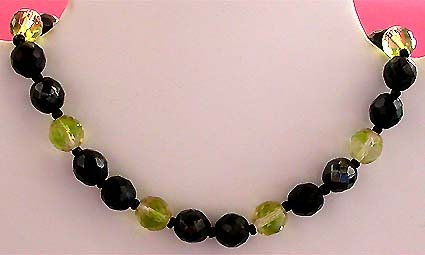 It is marked West Germany and features reflective faceted jet black glass beads and faceted clear givre glass beads. 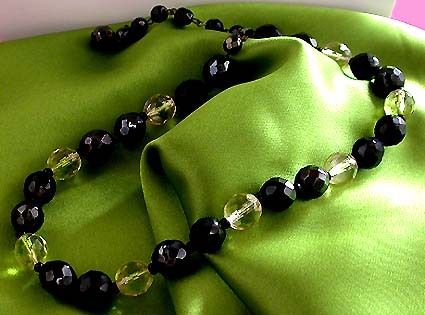 The glistening givre beads have green pattern fused in them. 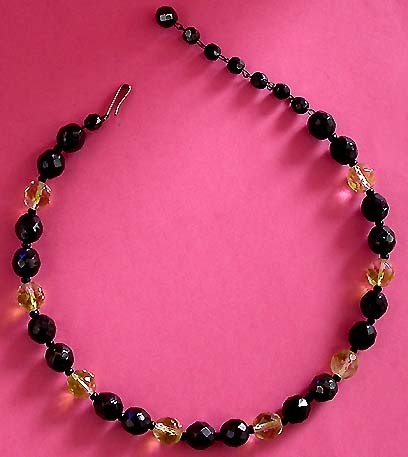 For those who are not familiar with givre beads or givre stones, they are beads or stones fused with colored pattern. 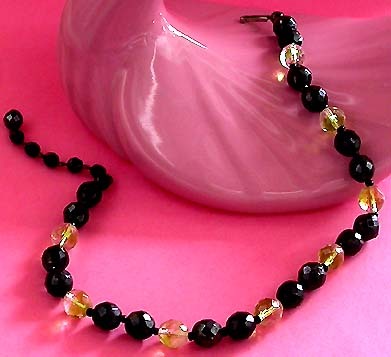 The glorious beads are beautifully strung with small jet black round beaded spacers. Each faceted glass bead measures about 3/8" in diameter. A very collectible piece to add to your collection. Excellent condition. A fabulous necklace to wear at weddings, prom nights, pageants, parties, cruises and special functions! US$98.00. SOLD.